On the left navigation bar, click the FRUUGO INTEGRATION menu, and then click Return. All the created returns are listed on the page. Click the Add New Return button. In the Enter Merchant Order ID or Reference Order ID box, enter the valid Id to be refunded. Click the Fetch Order Info button. Enter the values in the required fields. 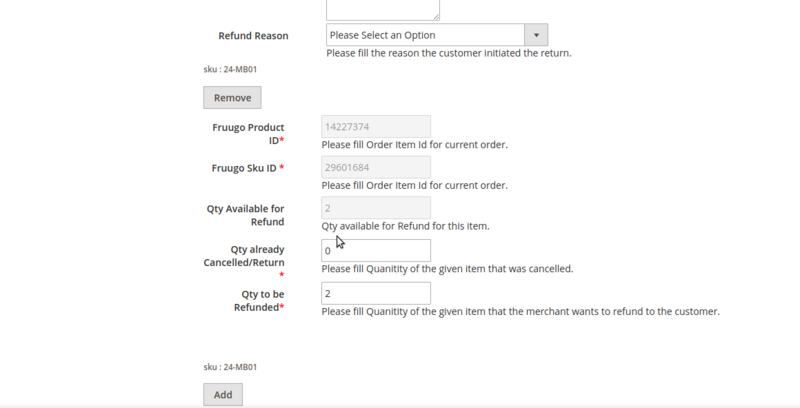 In the Qty to be Refunded box, enter the required number of item that the merchant wants to refund to the customer.